This was a grueling, rainy, 18-mile day. I managed to catch up with Hollywood and Buckeye. 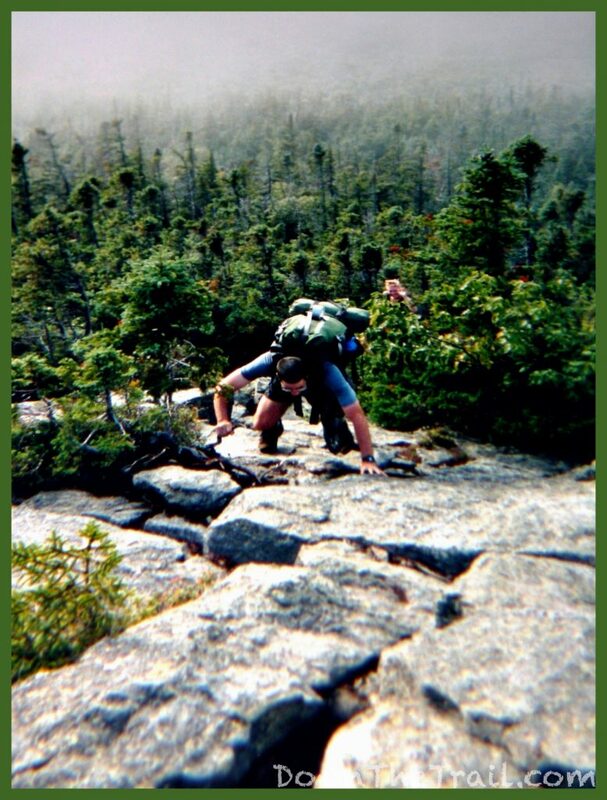 The descent one of the Kinsman peaks was especially tiresome over bouldery, wet terrain. I eased my way down the mountainside like a broken old man and was passed by a young boy, probably only about ten years old. He literally jumped down the rocks, from boulder to boulder, and was out of sight just as soon as he appeared. 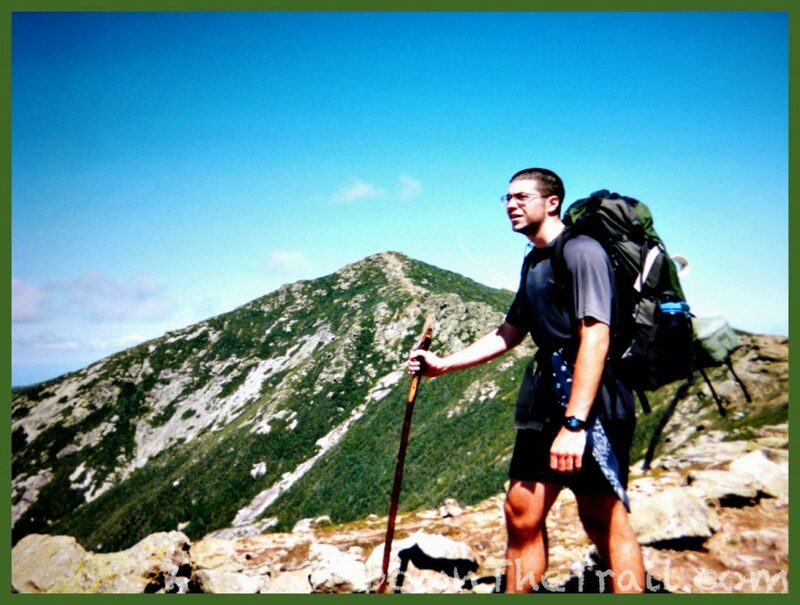 I imagine that he was staying at the first hut in the Whites, Lonesome Lake. 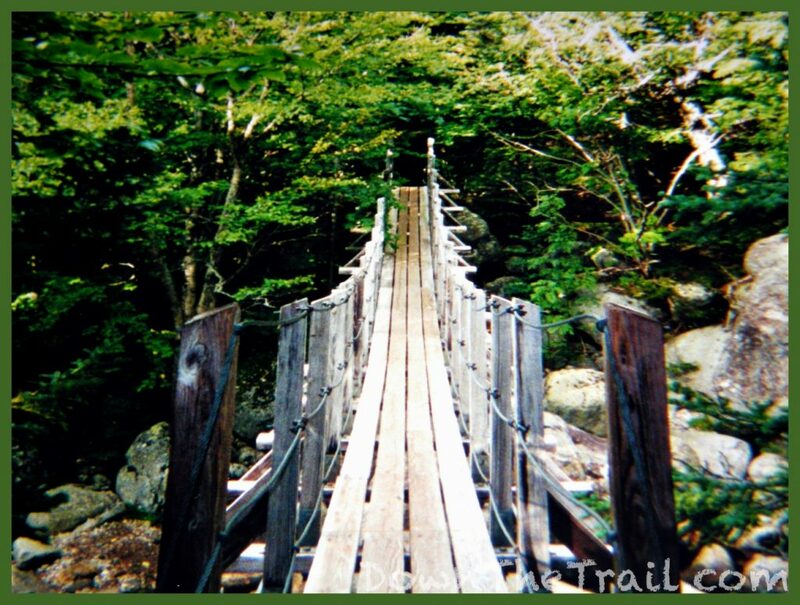 We decided to dive into the town of North Woodstock for the night, located six miles down the road from Franconia Notch. It was here that we scored one of the better hitchhiking experiences of my entire life. A cool young lady in a station wagon picked us up. Upon discovering that we had never seen New Hampshire’s Old Man in the Mountain she insisted on taking us up the road to see it. So she turned around and returned up the road for a few miles (In the same direction from which she’d come) just to show us the rock feature. She stopped in in a gravel pullout along the highway and there it was, the classic, iconic profile that symbolized the state of New Hampshire. I was grateful for the detour, but especially so in retrospect because it was only a couple years later that there was a landslide and the Old Man was erased from the Mountain forever. We were fortunate that the morning of August 30th dawned clear and blue, and even more lucky that the weather remained as such throughout the day. 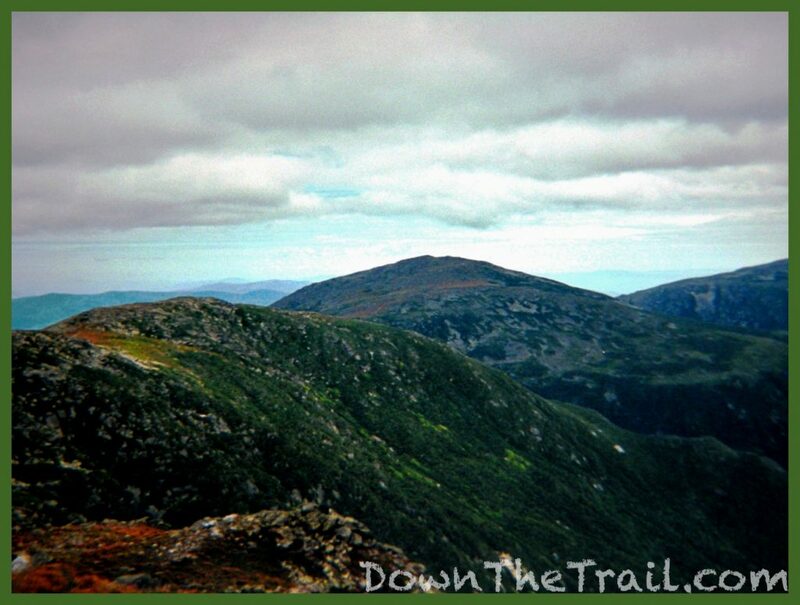 This was the day that we hiked the Franconia Ridge. 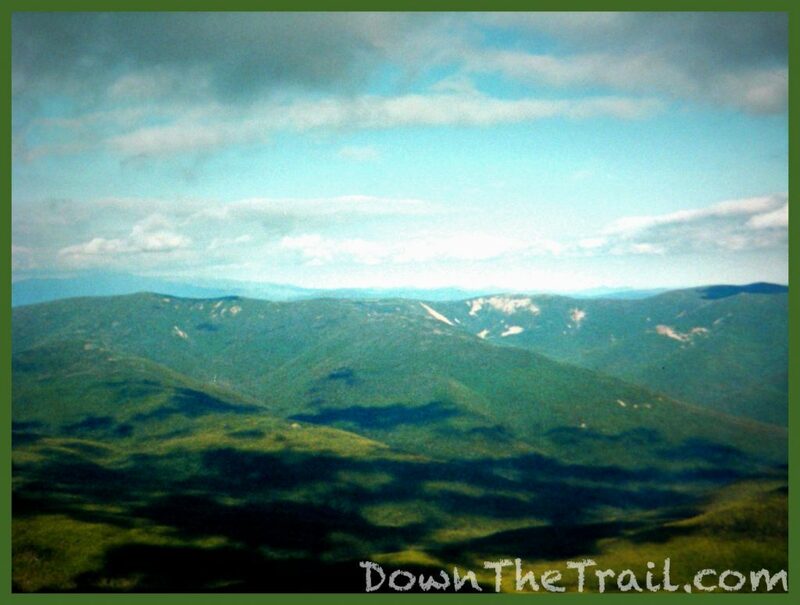 Consistently above treeline over the course of several miles, the Franconia Range is considered to be one of the most scenic stretches of the entirely Appalachian Trail. 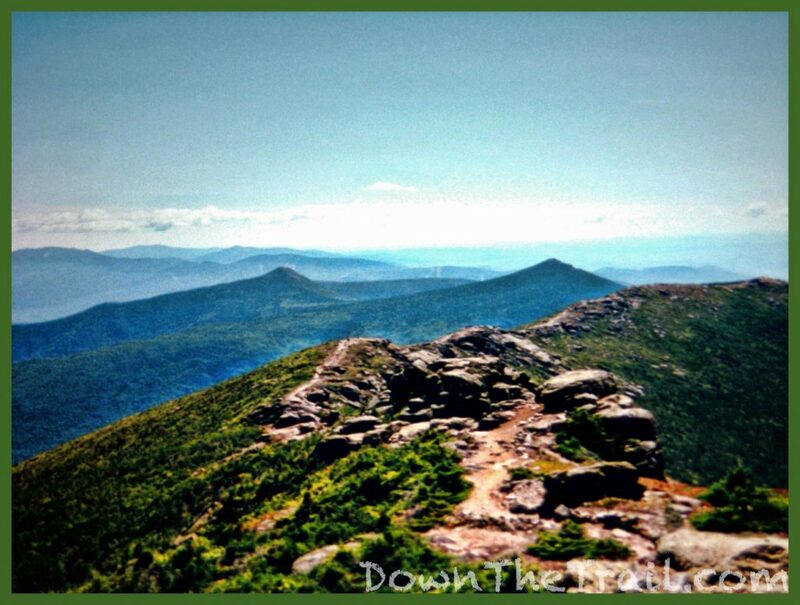 A couple of the more prominent peaks along the ridge are Mount Lincoln(5089’) and Mount Lafayette(5249’). 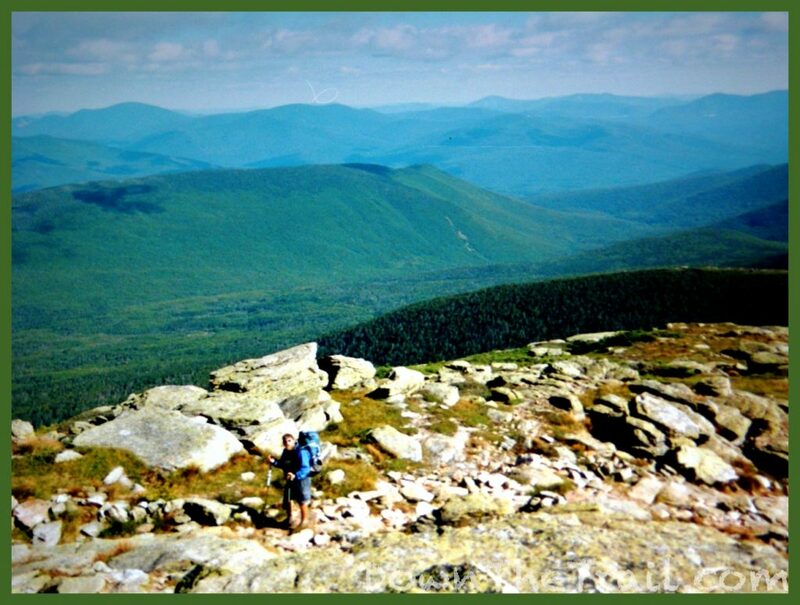 A photo of the area rightfully adorned the cover of The Thru-Hiker’s Handbook, the guidebook I carried all the way from Georgia to Maine. The day was clear and beautiful, and I cannot emphasize enough how much of a gift this was. There were some day hikers up there, but not so many to be annoying. I can only imagine how crowded it gets up there now in 2018! 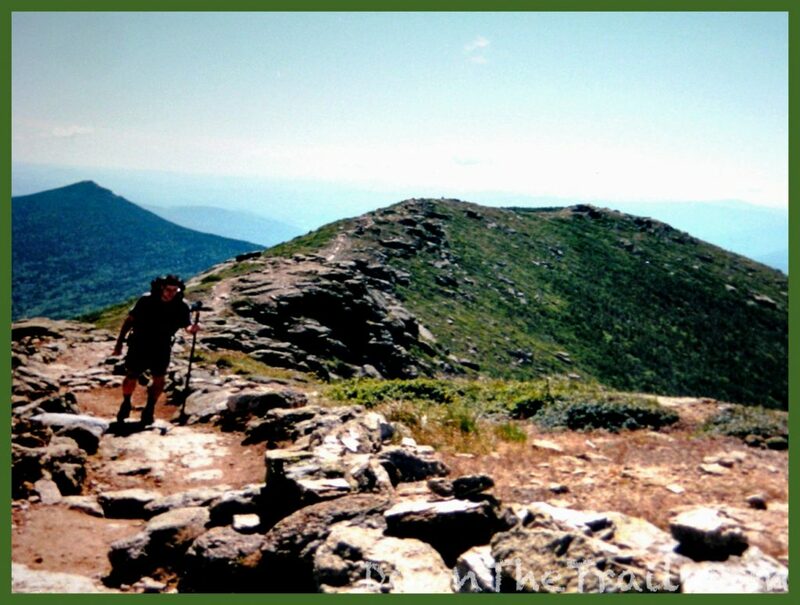 We took our time crossing the ridge, including a long, luxurious break on top of Mount Lafayette, the highest point of the day. I lied back and watched the clouds cruise over our heads. They moved so quickly and seemed to be so near that we could almost reach up and touch them. Several of us spent the night at Garfield Pond, which may or may not have been an illegal “stealth” campsite. 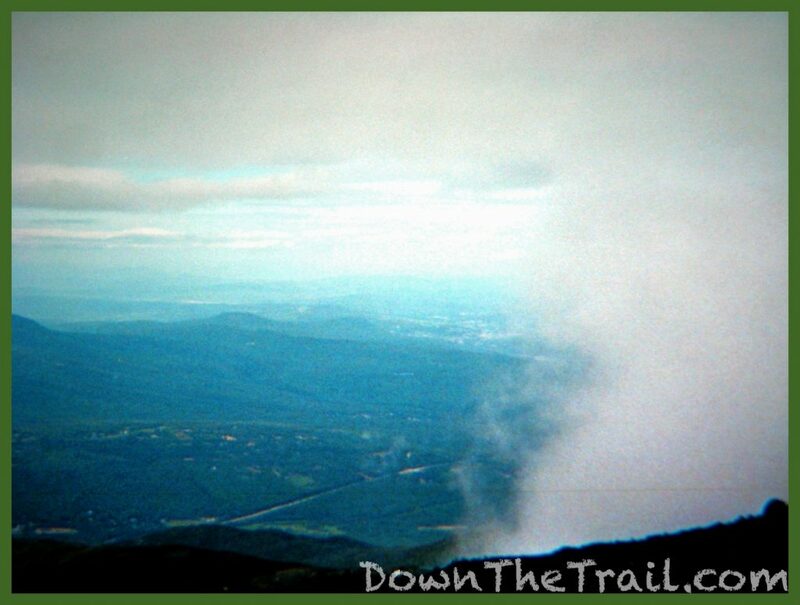 It rained overnight at Garfield Pond, and I was feeling tired on the day after all the excitement on the Franconia Ridge. I arrived at the Zealand Falls Hut early in the afternoon. The weather didn’t look so promising. I had a work-for-stay opportunity there, so I called it a day. I spent the night there with a middle-aged couple (Whose trail names I’ve forgotten). They payed up to be guests so I was the only working hiker in the house. It was the first and last time I’d do work-for-stay at one of the huts. I was starving and there was little to nothing for me in the manner of leftovers. I also remember doing a lot of dishes. I think I had some extra duties because a handful of the “croo” members were out for the evening, stealing some sort of mascot from an adjacent hut with traditional adolescent mischievousness. They made a big speech about their prize to the guests the next morning. I was forced to stay up much later than my normal hour, as I was delegated to sleep in one of the common areas. Likewise, I had to be one of the first ones awake and packed up in the morning (To get out of the way), but then hang around for the duration of a tantalizing breakfast (Again not much for leftovers) and do chores after breakfast, including more dishes and sweeping and mopping. 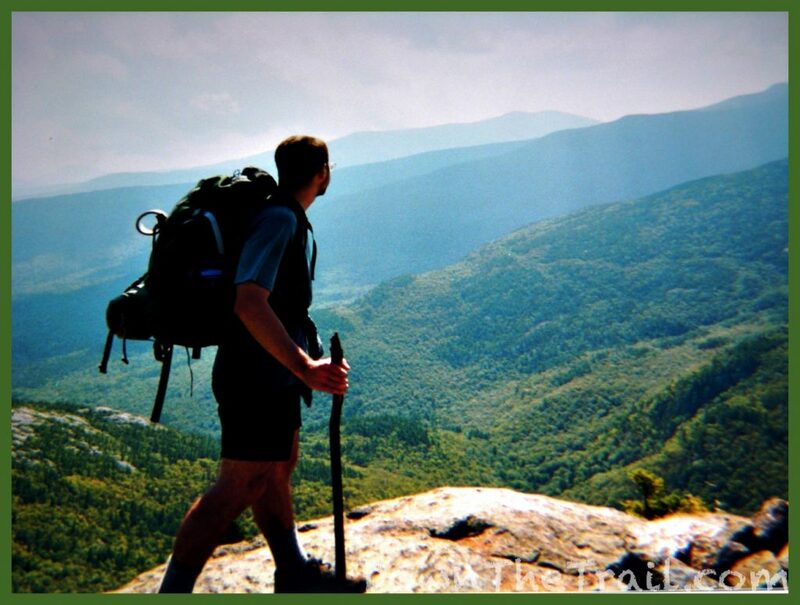 Clearly I love going on backpacking adventures, but if I had to name the single biggest drawback of the lifestyle, it would be the sense of feeling like a lower class citizen. 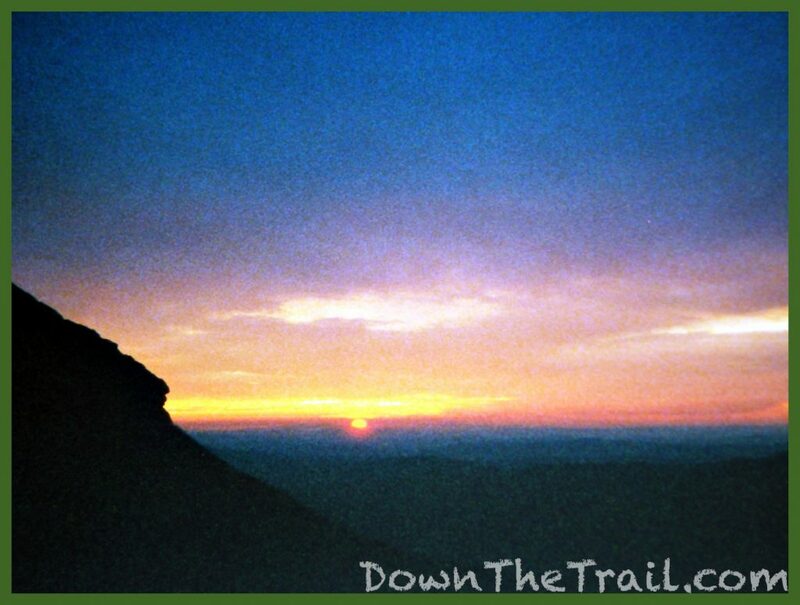 Let’s face it – a thru-hiker is essentially a homeless person with a credit card. Sometimes I’d get tired of always being dirty and unworthy of keeping company with all the “clean people.” Standing at the side of the road with your thumb in the air requires a certain level of humility too. And finally, it’s fun and empowering not to know where you’re going to sleep each night, but after a while the uncertainty of it all can become tiresome too. I was happy to leave Zealand Falls and start making progress on the trail again. 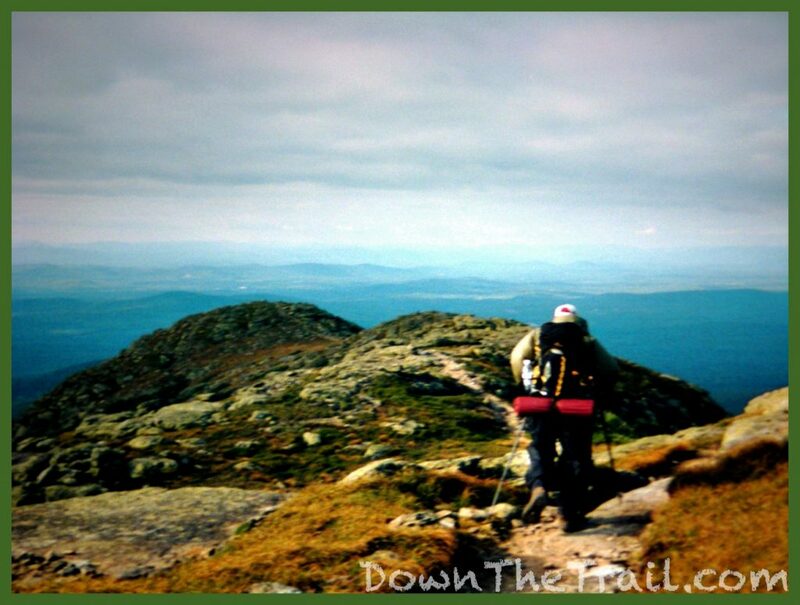 After about seven miles I reached a gap called Crawford Notch, and from there I began to climb above treeline once again into New Hampshire’s famed Presidential Range. 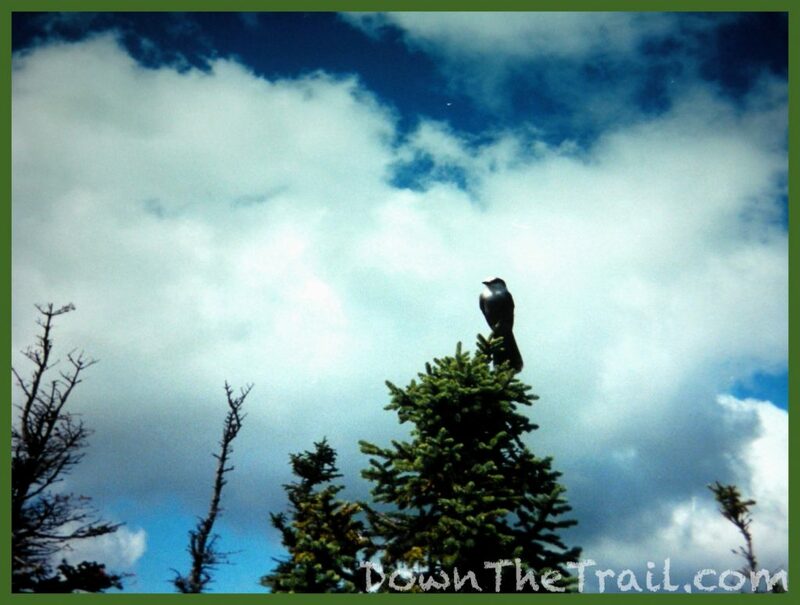 I felt amazing this afternoon and my spirits soared once again as the trail rose above the treetops. I intended to aim for the Mizpah Hut to spend the night – it had a $6 designated tent site nearby to avoid another “work for stay” experience. When I reached the hut I still had a lot of energy, and I was loving life and loving hiking so much in the moment that I just kept on going. This meant that I’d certainly be out in the dark night with just my headlamp to guide me, alone and high in the notoriously dangerous White Mountains. It was a special evening on the Trail when I felt bulletproof, full of piss and vinegar. Night-hiking the Presidential Range alone when nobody knows where I am? No problem. And it wasn’t a problem. 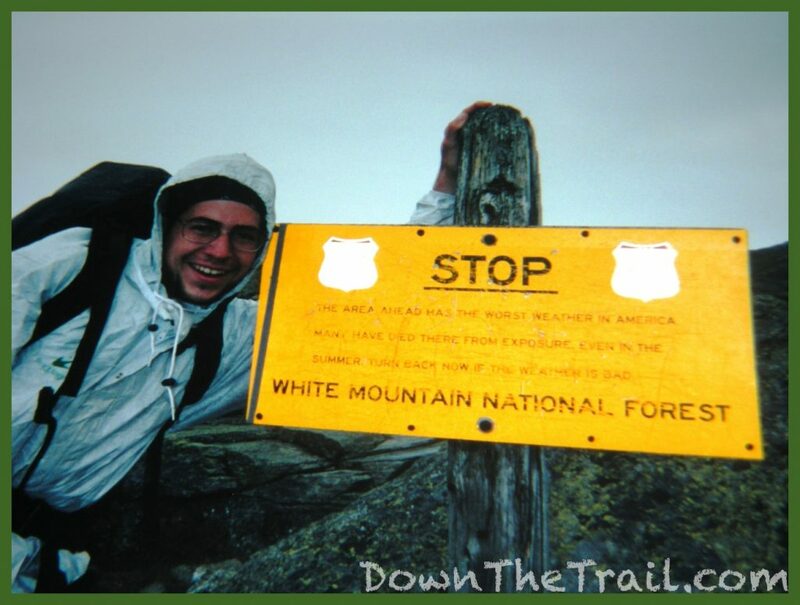 I was 21 years old, and I was hiking the Appalachian Trail, goddamn it. It was glorious. I walked through the sunset and into the night. 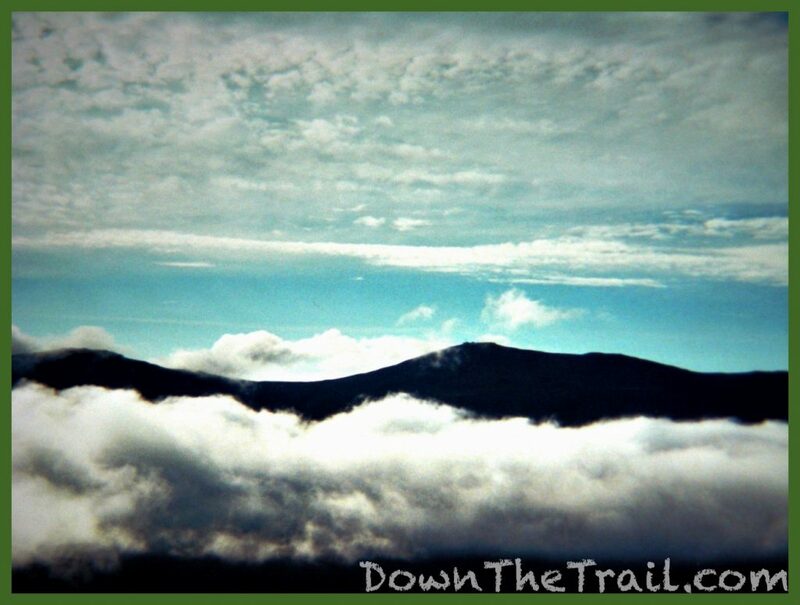 The stars came out, and still I walked, high above treeline. I didn’t see a soul. Glory fades, so eventually I was ready to be done walking for the evening. 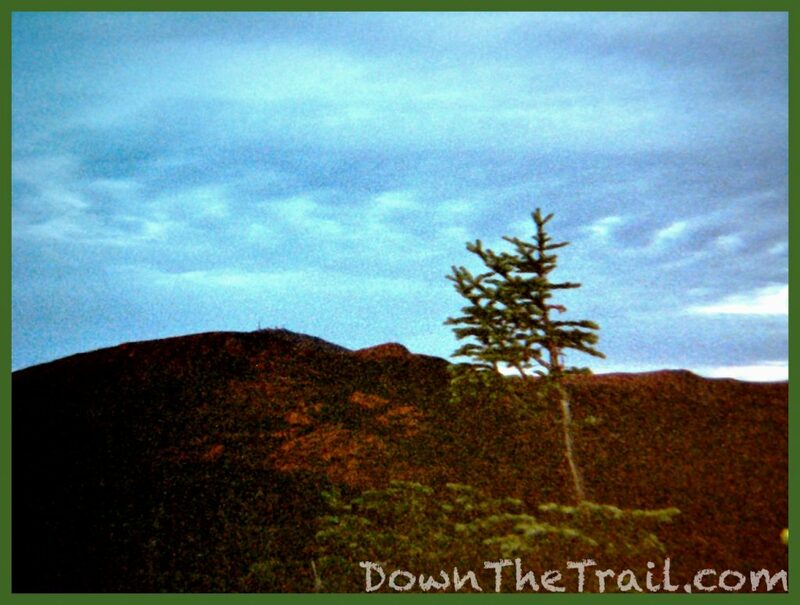 The stark silhouette of The Lake of the Clouds could soon be discerned on the bony crest of the ridge, and the lights were on. 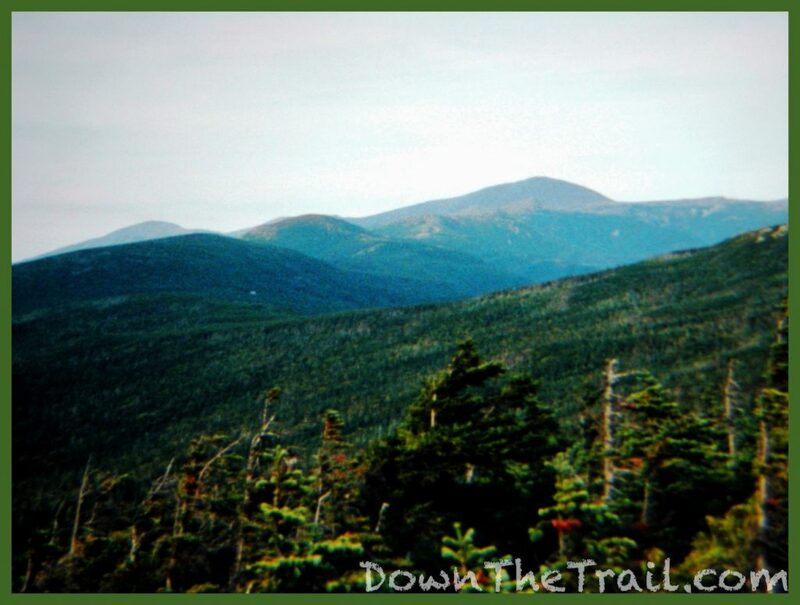 Mount Washington loomed beyond it. As the most celebrated peak of the Northeast, Mount Washington is famous for attracting some of the worst weather in the world – but not on this night. There was a light breeze, and the stars were out. I opened a heavy door and stepped into a wide, flat, large room that was aglow with electric light. My guidebook said that Lake of the Clouds had a room they called “The Dungeon.” It also stated that at $6 a night, it was sort of a thru-hiker tradition to stay there. I found my way to the dungeon, put out my bedroll, and soundly fell asleep among four stone walls and a roof. The sign reads: STOP – THE AREA AHEAD HAS THE WORST WEATHER IN AMERICA. MANY HAVE DIED THERE FROM EXPOSURE. EVEN IN THE SUMMER. TURN BACK NOW IF THE WEATHER IS BAD. 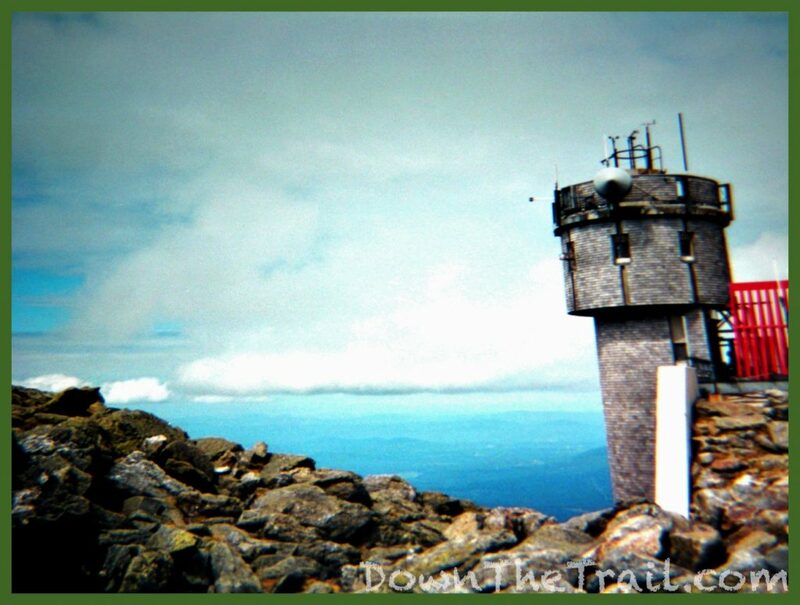 The summit of Mount Washington was an interesting spectacle. The peaked is topped with its famous observatory that’s been recording the mountain’s extreme weather phenomena since the 1930s. There’s also a snack bar (Where I spent most of my time on the peak). A toll road goes all the way to the top, and last but not least, there’s the infamous cog railway that’s been shooting thick smoke into the atmosphere with a merry “toot toot,” contributing to wilderness experiences from around the world since 1868. 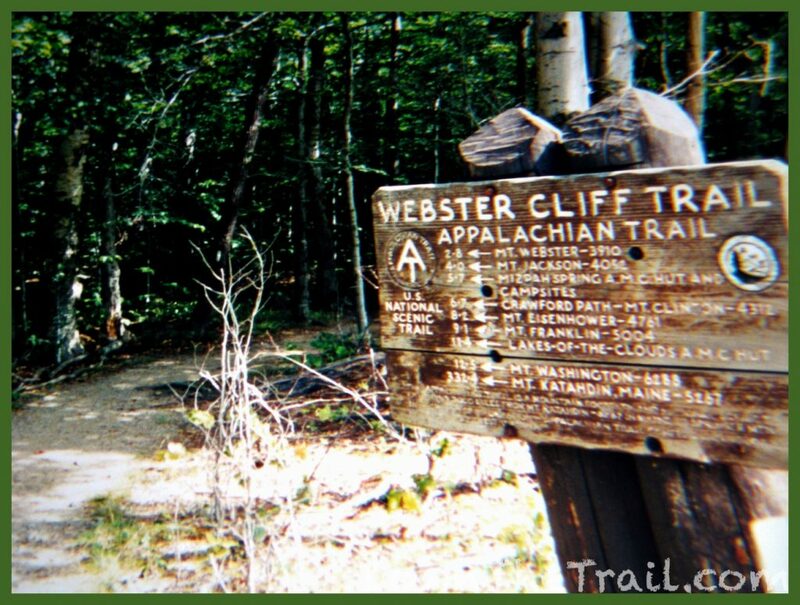 It’s tradition for thru-hikers to moon the railway passengers, but I was solo and refrained. 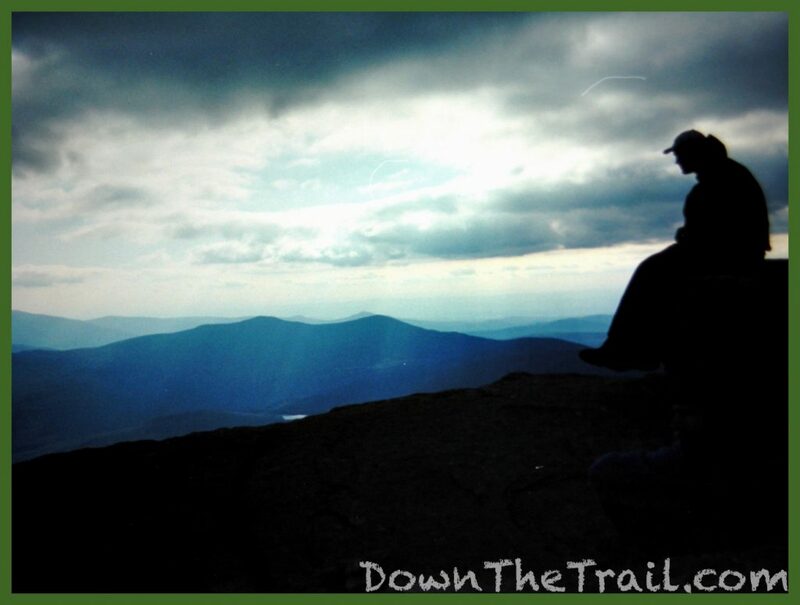 On the summit I was reunited with Hiep, a hiker I’d met back at the Inn at the Long Trail. I may have mentioned that he was super fast hiker. 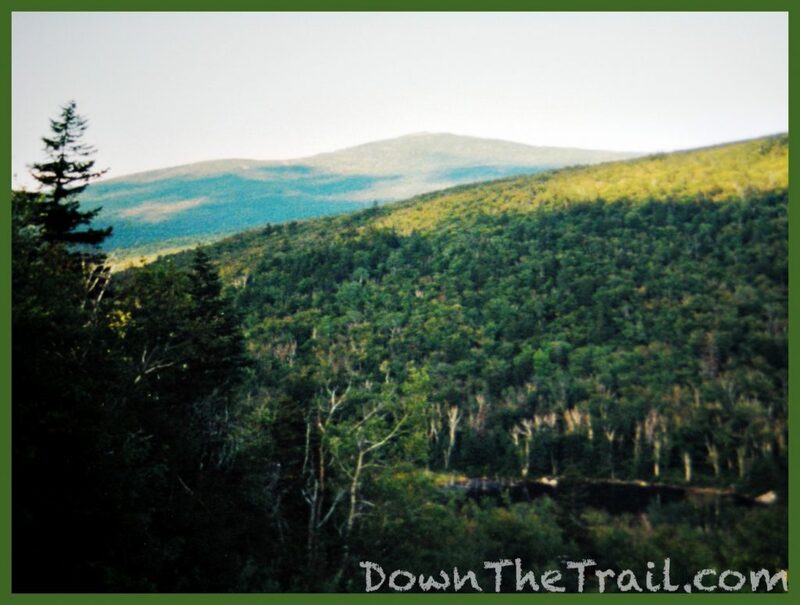 His plan at the time, from the Inn at the Long Trail, was to continue north off of the AT and finish the Long Trail, just because it was there and he may as well. 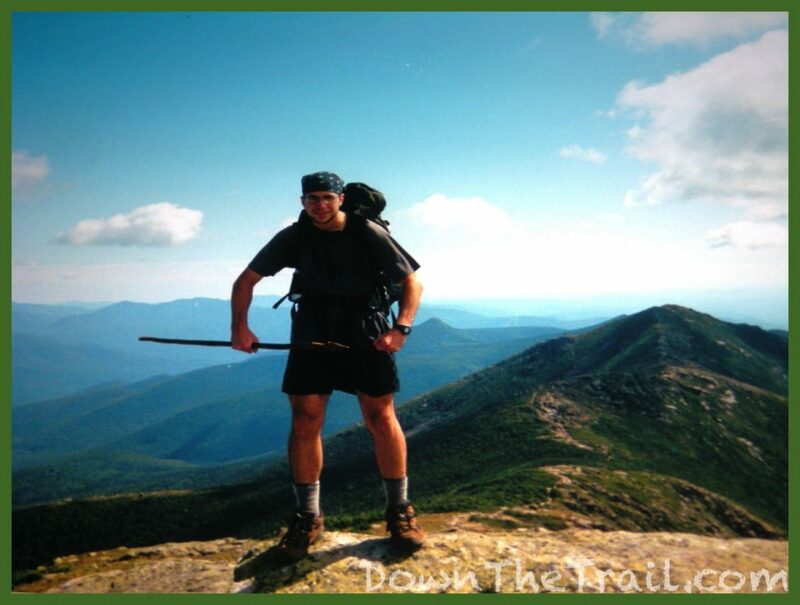 After he finished the Long Trail, he intended to return to the point where he left the AT, picking up exactly where he left off and continuing northbound to Katahdin. Guess what? That’s exactly what he did. And here he was overtaking me already, a relatively short distance away from where he left me in Vermont. It was impressive. I liked Hiep. 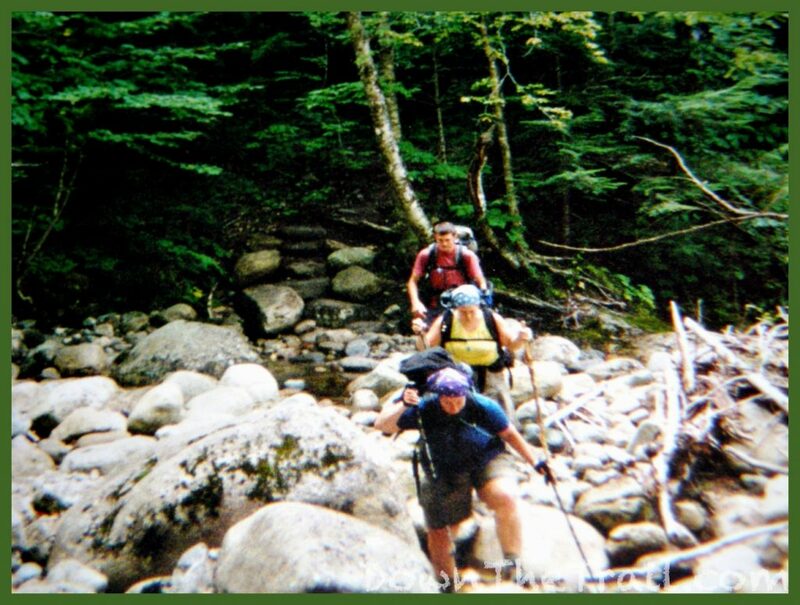 It’s no coincidence that the super-fast hikers often seemed to have the most positive, upbeat attitudes. He seemed genuinely happy to be reunited with me, however brief it may be. 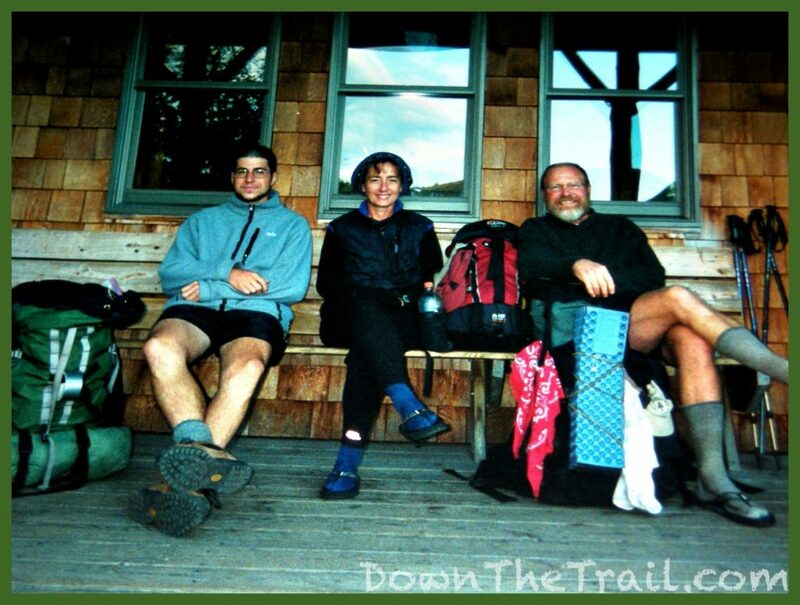 Maybe he was just happy I remembered him – I imagine that the fast hikers are also the loneliest, as nobody can keep up with them so they never make any lasting friendships on the Trail. 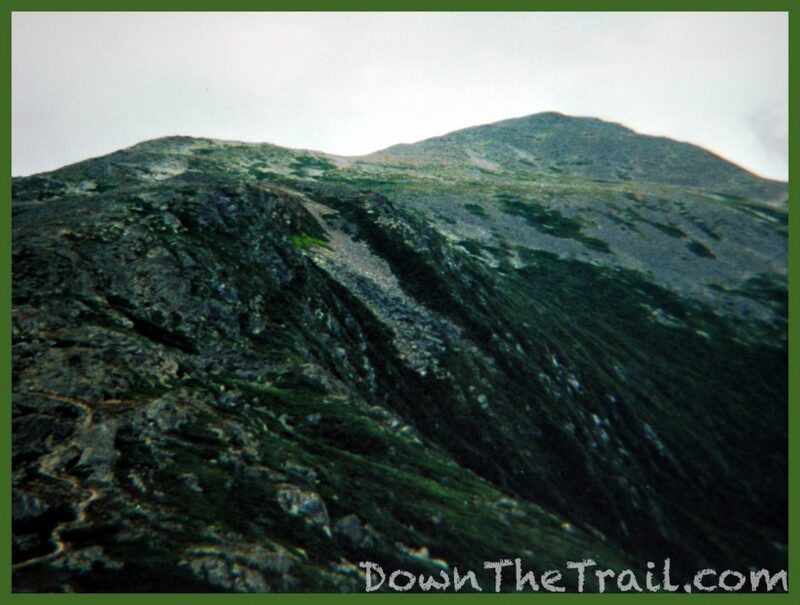 The following 6 miles that followed toward Madison Springs Hut were relatively easy, trending downhill from Mount Washington. 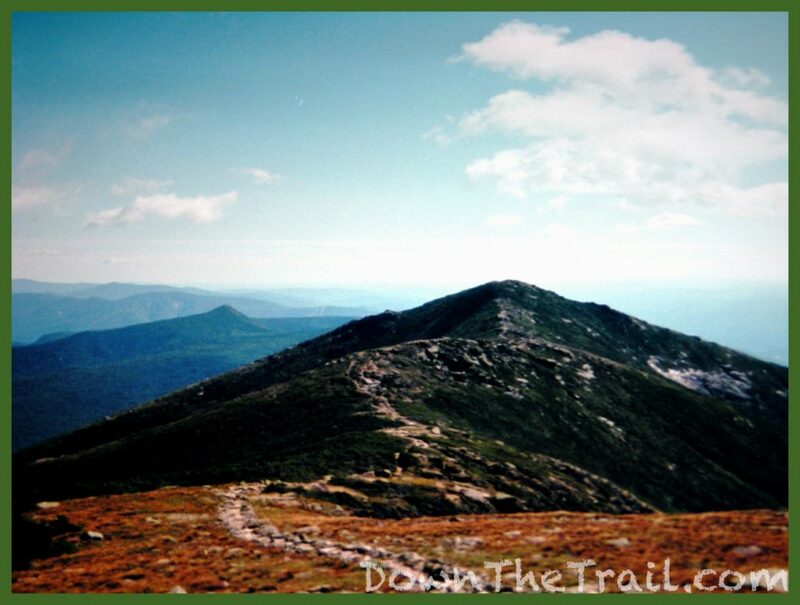 A number of lesser peaks lined the ridge – the official Appalachian Trail contoured around them, but each summit had a blue-blazed trail that led up and over. I stayed on the white-blazed AT, keeping in line with my purist ways, but in retrospect I think it would have been fun to bag the peaks. 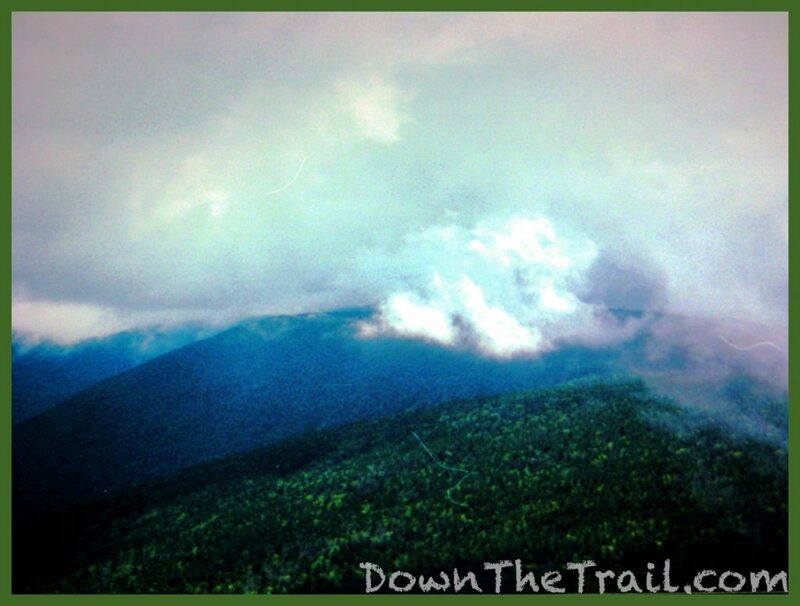 Thick clouds had begun to graze the mountaintops by the time I made it to Madison Springs Hut. The midday scene was quiet and restful, as I seemed to be there in the downtime when the day’s work for the “croo” was done before they’d begin to welcome the evening’s guest. The staff here was exceptionally friendly and easy-going. One of the croo informed me that they had work-for-stay available for the night. The offer had a friendly but persuasive tone to it, and in hindsight I think the young man knew that it would be in my best interest to spend the night at the hut. But I didn’t. 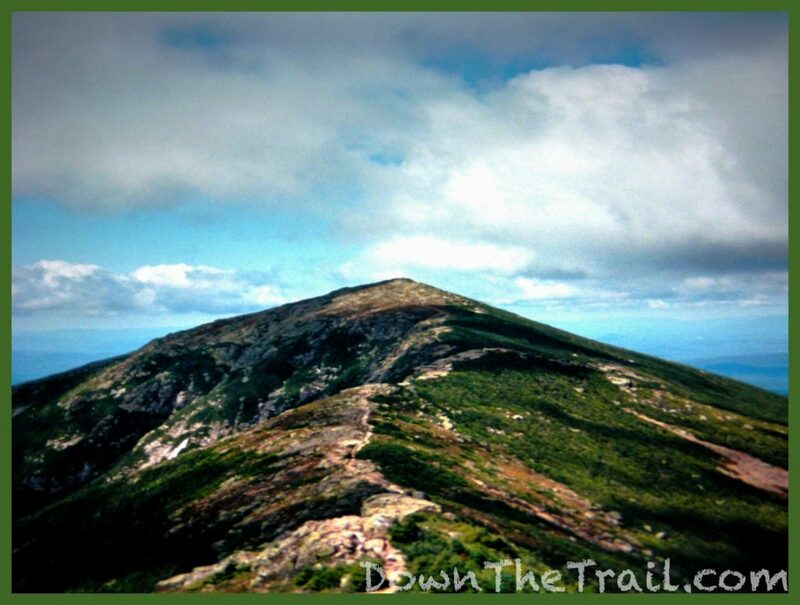 I chose to hike up and over Mount Madison instead, and it may have been one of the poorest choices I made on the Appalachian Trail. I must have been about halfway up the mountain when the clouds blew in. The wind picked up, and suddenly my visibility was limited to about ten feet in all directions. I was enveloped in a cloud – a wet cloud. It wasn’t raining, but particles of moisture blew sideways before my eyes, beginning to saturate my clothes by the time I could get my rain gear on. 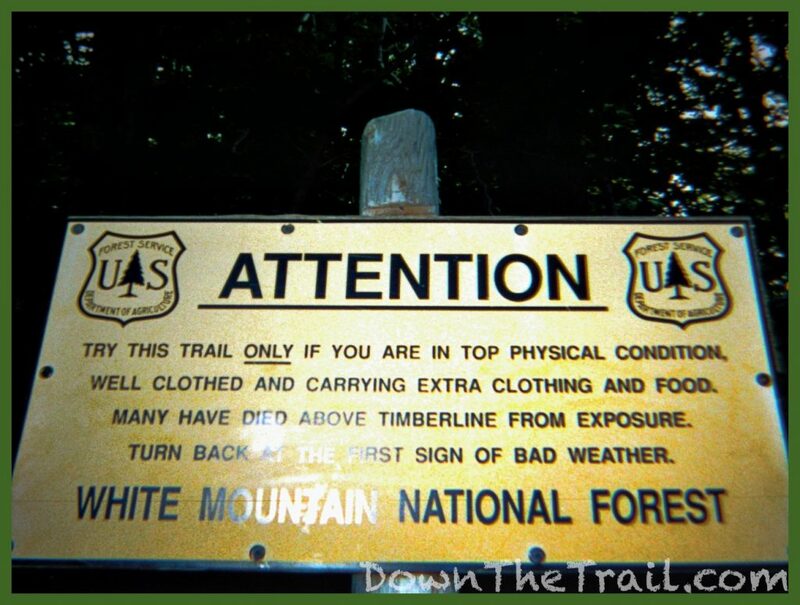 The temperature dropped, and the trail became increasingly difficult to follow. All that existed in the world was the bare rock and the thick, white cloud. 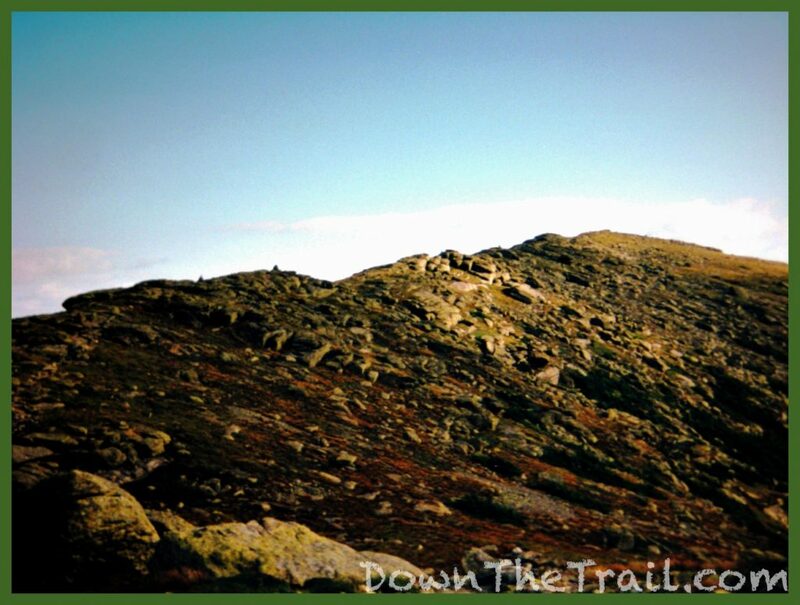 Now I understood why the trail above treeline was marked with huge cairns – I could not have been more thankful for their presence, as I would have been lost without them. It was late in the afternoon. The lighting began to grow dim. Sunset approached. I was pressed for time. Getting caught up here in the dark, in this weather, would be very bad. 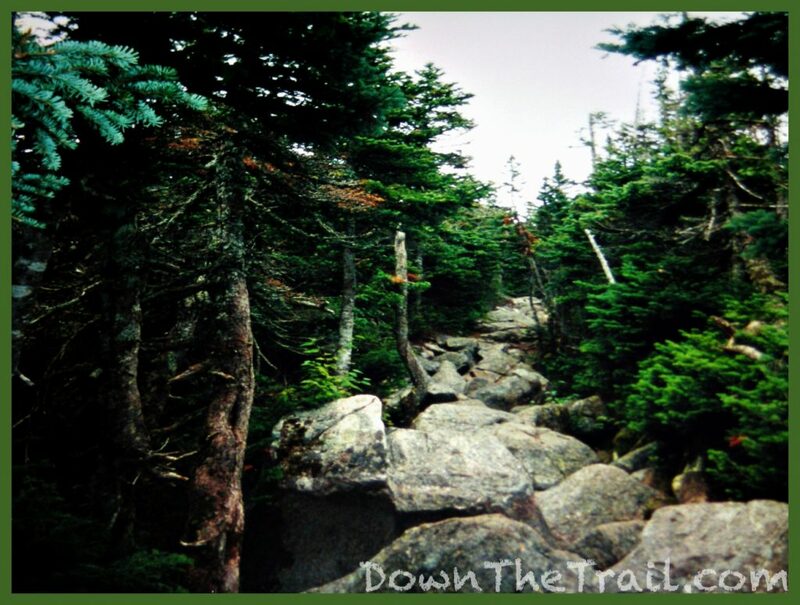 By most standards I feel as though these were some my most dangerous moments on the Appalachian Trail. 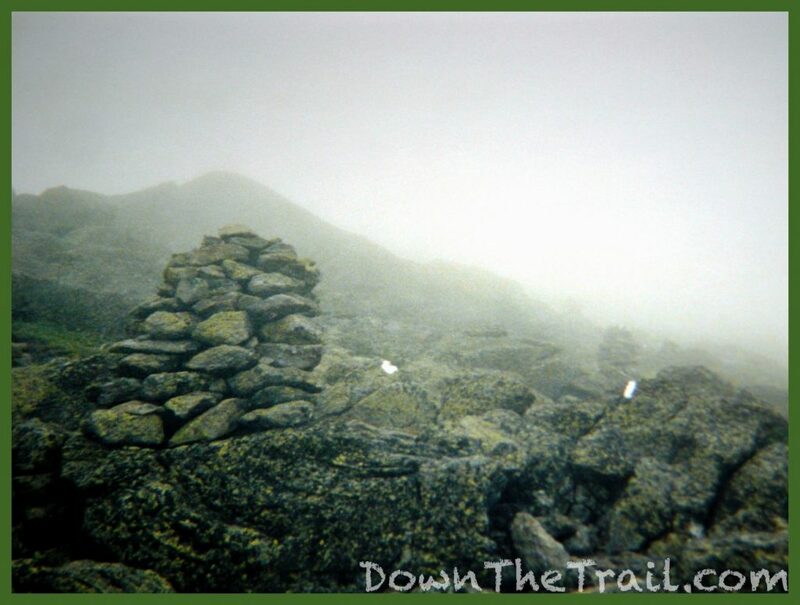 It was difficult to discern even these large cairns through the cloud, but I dutifully connected the dots – one at a time – until at last the trail began to descend. Finally I reached the cover of the White’s shortest stunted trees, and I knew I was safe. I reached the established Osgood tent site just minutes before sunset, where the USFS had set up wooden tent platforms. There was only one other hiker here who was already set up for the night, some distance away through the mist. It rained intermittently throughout the night. 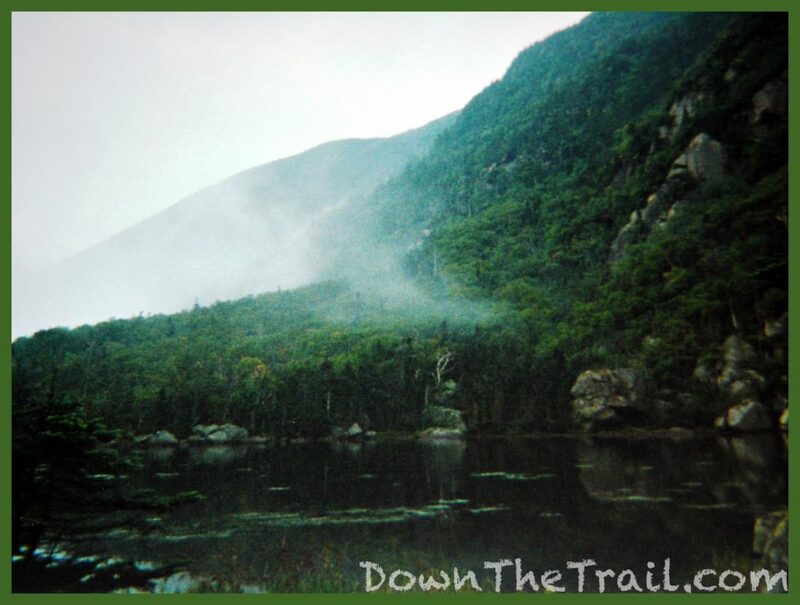 The weather began to clear in the morning as the trail continued descending from Mount Madison to Pinkham Notch. Several AMC facilities were located there in the Notch, including a cozy but modern Visitor Center. I remember signing in to the hiker register they kept there and noticing that SoFar, Hollywood, and Buckeye hadn’t signed in – maybe I passed them somewhere. 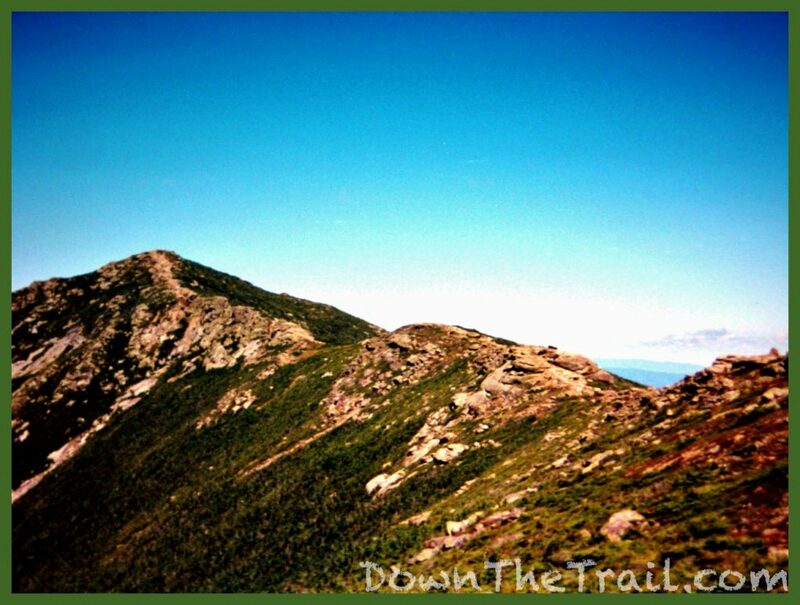 The afternoon grew to be hot and humid as I began the steep climb on the far side of Pinkham Notch, up Wildcat Mountain. 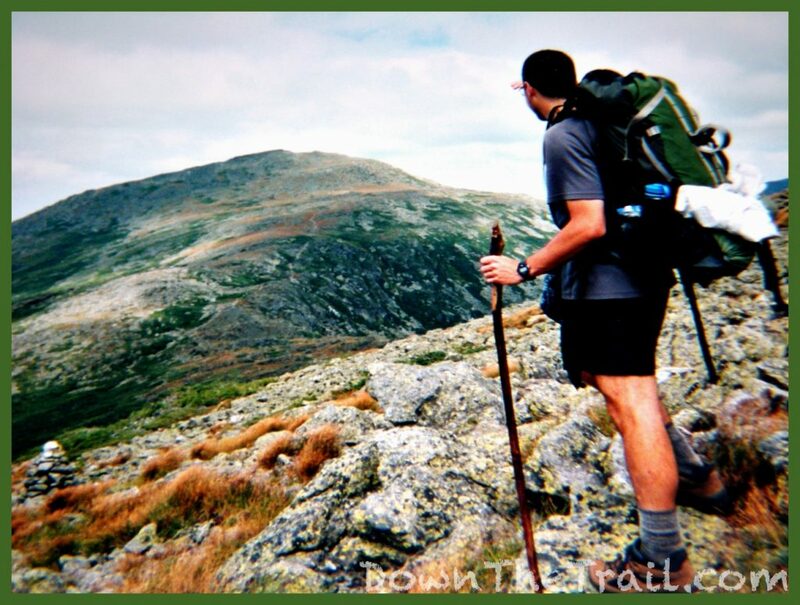 In leaving the Presidential Range, I’d essentially left heart of New Hampshire’s White Mountains. 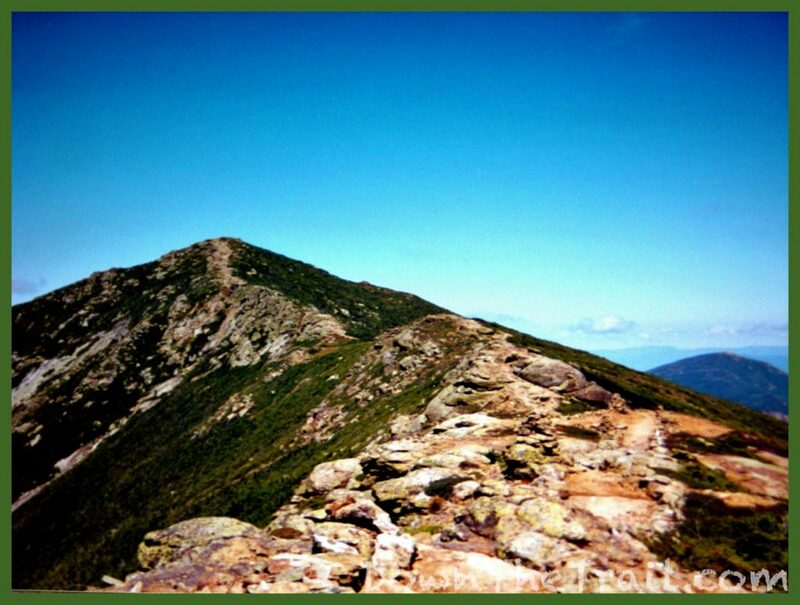 Wildcat Mountain featured some steep scrambles up sheer rock and afforded stunning views of Mount Washington. Last night’s weather was still clearing from the peaks, and the clouds were partially inverted, revealing the loftiest summits as though they are suspended between layers of cloud. I met these two hikers here for the first time on Wildcat. 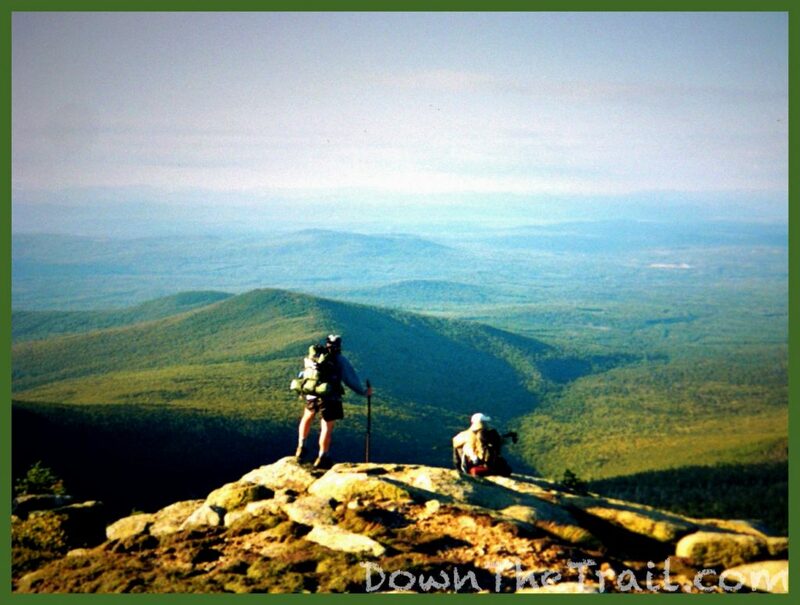 The guy in front was a thru-hiker called Night Owl. 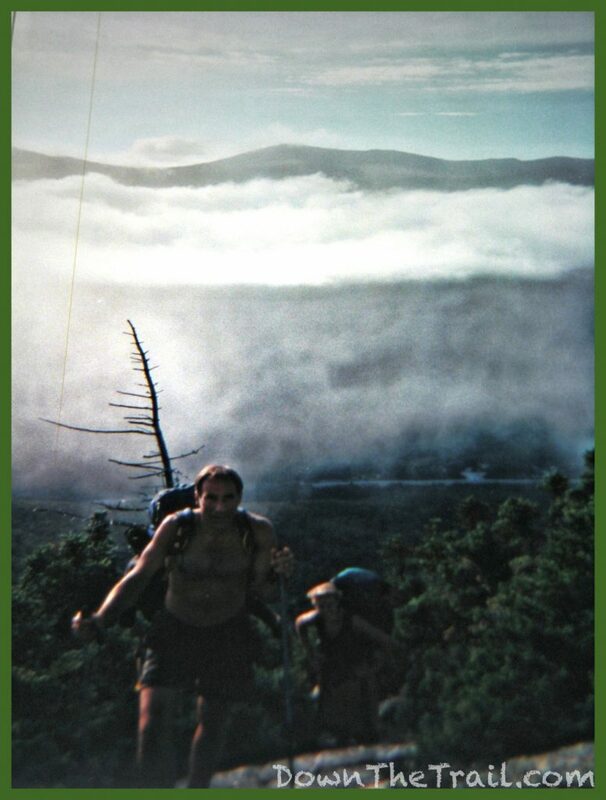 The girl behind him is Jeannie – we’d intermittently run into each other several times going forward from here to Katahdin. She was a Harvard graduate and was teaching herself to speak Arabic in her spare time on the Trail. So I made it through the White Mountains, and at long last, the state of Maine was just around the corner. Cause for celebration! I’d started the 2002 leg of this journey over three weeks and 240 miles ago, and in that time I hadn’t taken a single day off – a zero mile day. So in Gorham, New Hampshire I took two. 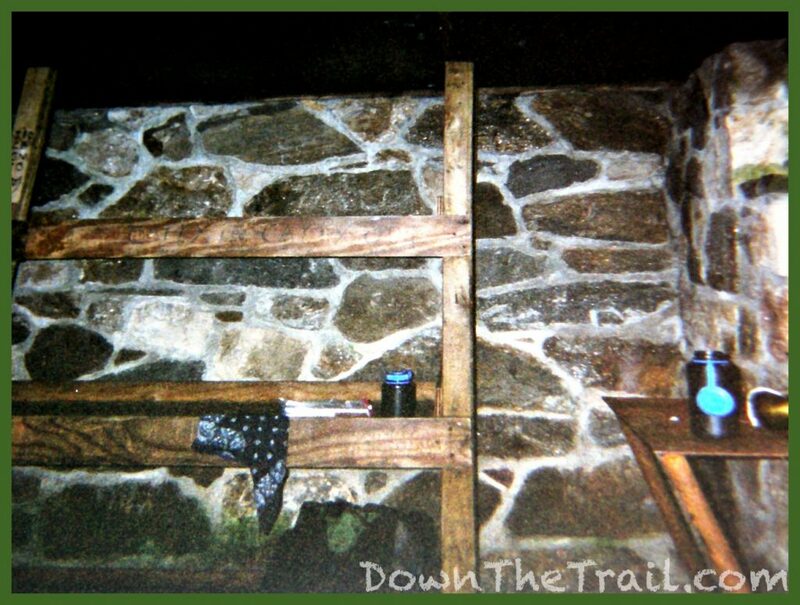 The Barn was one of the best hostels on the entire Appalachian Trail. Its location serves as a milestone for thru-hikers in both directions, inspiring people to kick back and enjoy each other’s company. Hollywood and others caught up with me, and The Barn was the scene of some bonfires and partying. I had a great time here. The Barn was technically an extension of an establishment called Libby House Bed and Breakfast, but the only person on the property we had any contact with was the caretaker. 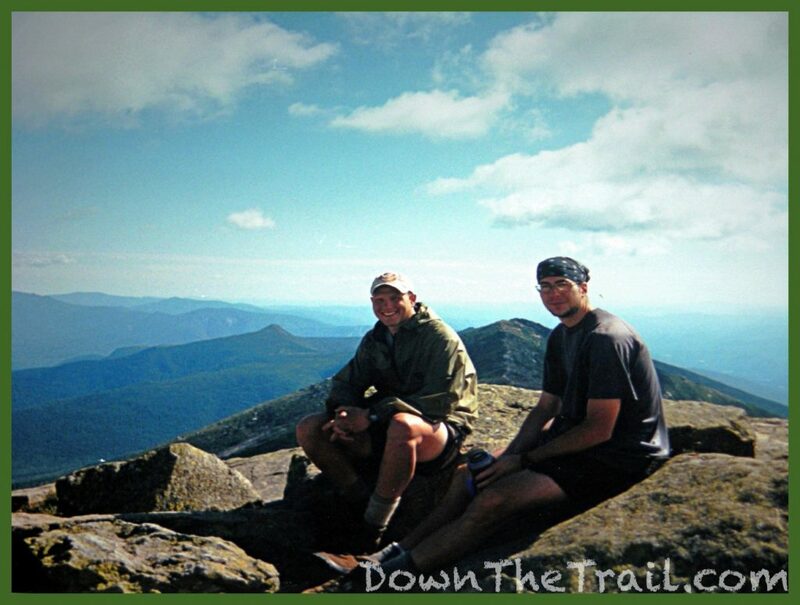 He was called Scavenger, and was largely one of our own ilk in the thru-hiking community. Scavenger was the perfect trail name for this guy, as he had a knack for finding uses of things that even hikers considered to be garbage. I remember one day he picked up some used boxes that were in a pile to be recycled, and he got exceedingly upset because their was tape on them. “They recycle the box, not the tape!!! !” he said. There happened to be a perfectly good denatured alcohol stove (A homemade Pepsi-can stove) sitting in the hiker box at The Barn. Hollywood said I ought to take that and start using it, and he got straight to work on making me a pot stand / heat diffuser out of a Dinty Moore Beef Stew can. He used the blade on my Swiss army knife to cut large holes into the can. I cringed at watching the blade get dull before my eyes, but it was certainly worth it. I picked up a stainless steel pot from the local outfitter, and in no time I had a fully operational stove! We were talking last night about how I didn’t use a stove, and Hollywood thinks that maybe Scavenger overheard this, proceeded to construct a Pepsi-can stove, and then discreetly placed it in the hiker box. I left Gorham and saw SoFar again out along the trail. This time he was with a different crew. 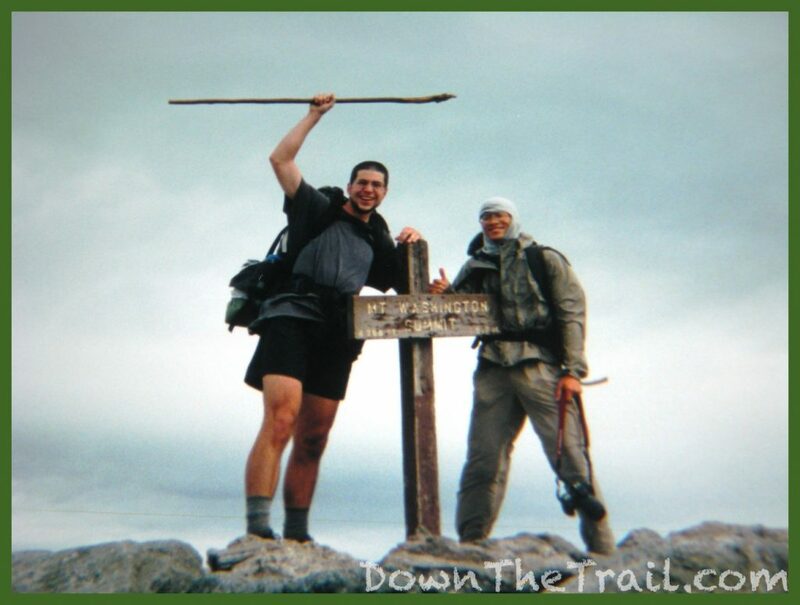 I think one of the hikers he was with was “Khaos” from back in 2001. Otherwise I frankly don’t remember much from this last day in New Hampshire.